Volatile organic compounds (VOCs) released from the waste treatment facilities have become a significant issue because they are not only causing odor nuisance but may also hazard to human health. 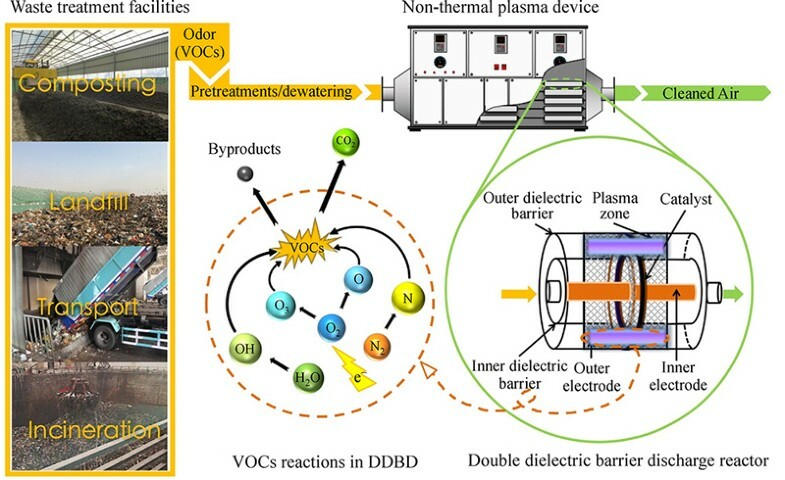 Non-thermal plasma (NTP) technologies are newly developed methods and became a research trend in recent years regarding the removal of VOCs from the air stream. Due to its unique characteristics, such as rapid response at room temperature, bulk homogenized volume, high reaction efficiency, dielectric barrier discharge (DBD) plasma technology is considered one of the most promising techniques of NTP. This paper reviews recent progress of DBD plasma technology for abatement of VOCs. The principle of plasma generation in DBD and its configurations (electrode, discharge gap, dielectric barrier material, etc.) are discussed in details. 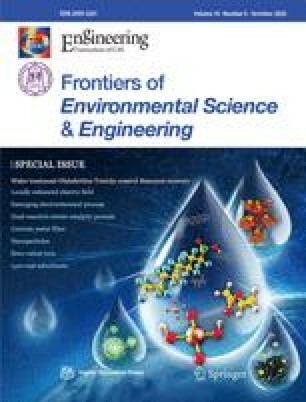 Based on previously published literature, attention has been paid on the effect of DBD configuration on the removal of VOCs. Effect of various process parameters such as initial concentration, gas feeding rate, oxygen content and input power on VOCs removal are also considered. Moreover, the role of catalysis and inhibitors in VOCs removal by DBD system are presented. Finally, a modified configuration of the DBD reactor, i.e. double dielectric barrier discharge (DDBD) for the abatement of VOCs is discussed. It was suggested that the DDBD plasma reactor could be used for higher conversion efficiency as well as for avoiding solid residue deposition on the electrode. These depositions can interfere with the performance of the reactor. This work was financially supported by the National Key R&D Program of China (No. 2018YFD1100605).